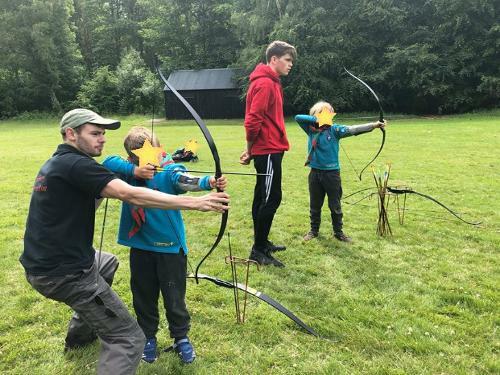 Bringing the Archery fun to your venue! Have you ever fancied bringing the ancient sport of Archery to your event? Now you can with our special Mobile Events Team. 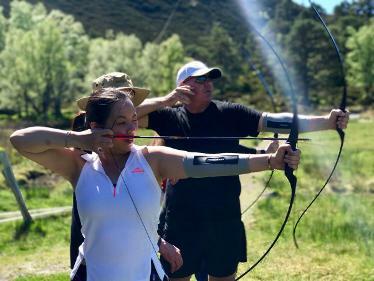 Experienced with providing Archery Sessions at various venues around Scotland for Corporate, Parties, Hen/Stag, Weddings and Charity Fundraisers, our team aims to cater to your requirements! Contact us for further details, Terms & Conditions Apply: Minimum booking of 1 hour under a 50 mile radius and minimum booking of 2 hours for over 50 mile radius. Journey times lasting over 2.5 hours will incur a surcharge of £25 for each additional hour's journey to your venue. *Mileage is charged at 40p per mile round trip. We use Google Maps to work out distance and journey time from Bowhunter Archery to your Venue. A risk assessment will be required prior to the event - this can be sorted with good communication, photographs, Google maps and honest details regarding the venue and it's suitability to hold a weapons event. We can help with the safe planning so get in touch and have a chat! *photo courtesy of Wildfitness who enjoyed the fun of the Bowhunter Mobile Events Team up North in 2017.